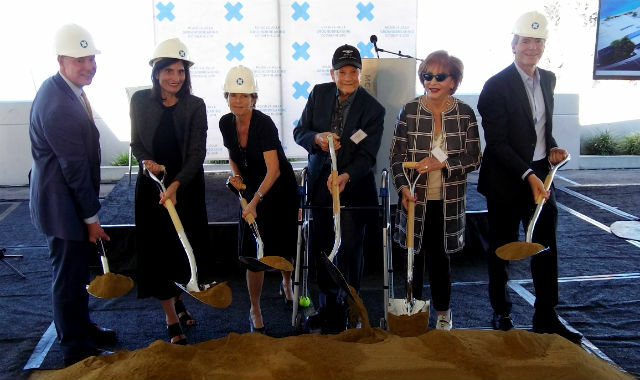 The Museum of Contemporary Art San Diego began the long-awaited $95 million expansion of its flagship building in La Jolla Thursday with a ceremonial groundbreaking. Museum CEO Kathryn Kanjo said the project — the first substantial increase in gallery space since 1980 — will allow the museum to display major new art acquisitions and better serve a growing and changing San Diego. “The city has changed, and we have changed. Our collection has grown. On average, we’ve been adding 1,000 works per decade. And there’s more work to come,” said Kanjo. The new campus will be named for philanthropists Joan and Irwin Jacobs. Their son, MCASD board chair Paul Jacobs, spearheaded selection of the architect for the project. “When it reopens its doors in 2021, it’s going to be a beacon for the region and boost tourism here,” said Jacobs. The building will double in size, with gallery space increasing by a factor of four. The design is intended to take full advantage of the ocean vista while paying homage to the original building by famed San Diego architect Irving Gill. 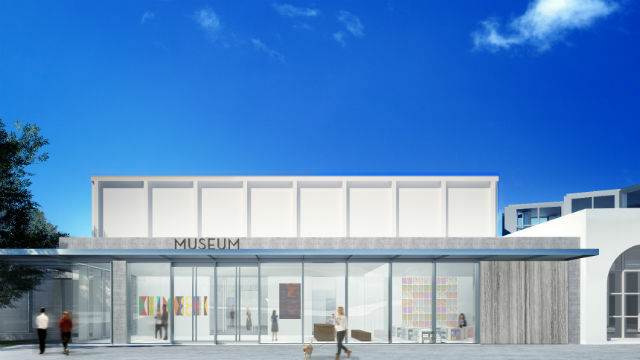 Rep. Scott Peters, a La Jolla resident, said he sees the expanded museum as “transforming the future of La Jolla and San Diego” and looks forward to visiting when he’s not involved in what he quipped was “performance art” in Washington. The museum has raised $80 million of the funds necessary, with major gifts from Rancho Santa Fe art collectors Matt and Iris Strauss, and the Jacobs family. 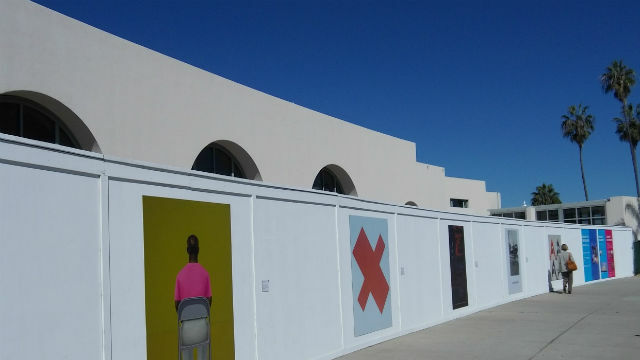 While the La Jolla building is closed, exhibitions have continued at the museum’s downtown location in the Santa Fe Terminal. A new exhibition featuring the work of 42 artists working in San Diego and Tijuana opened last month. “Being Here with You/ Estando Aquí Contigo” includes works by both early career and established artists in media ranging from painting, sculpture and photography to digital media, installation and performance. Since its founding in 1941 as The Art Center in La Jolla, MCASD has evolved into a leading visual arts organization of international renown. The permanent collection includes more than 4,700 objects with strengths in abstraction and minimalism, California art since 1960, Latin American art, and installation art.